November is shaping up to be an incredibly active month for Creative People in Florence members. It’s so great to see so many artists creating new work, having shows, and collaborating. We want to share with our community some of the things that our members are up to. We hope that you will join us and check out some of these events and support your fellow Creative People in Florence! 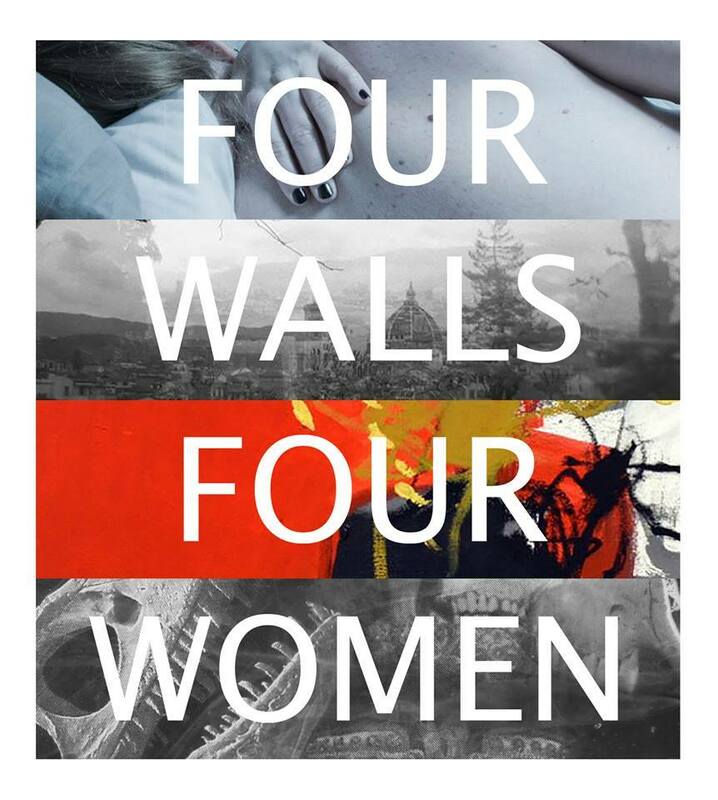 Wednesday, November 11 members Lillian Rodriguez, Jenny Barr, Barbara Justice, and Tamara Ronci will open the show Four Walls Four Women / Quattro Mura Quattro Donne. All the artists are currently in residence at SRISA (Santa Reprarta International School of Art). The show will consist of work by all women artists as a way to help bring awareness to women in the arts who have been historically underrepresented. Opening November 11, 17:00 to 22:00 p.m. The exhibition is open daily 3-6pm until November 18. Also on Wednesday (November 11) is Live it Local, an event being organized by our friends over at Palazzo Belfiore. Some of you may remember Inside Out: Contemporary Perspectives at Palazzo Belfiore which we we organized in collaboration with them this past March. 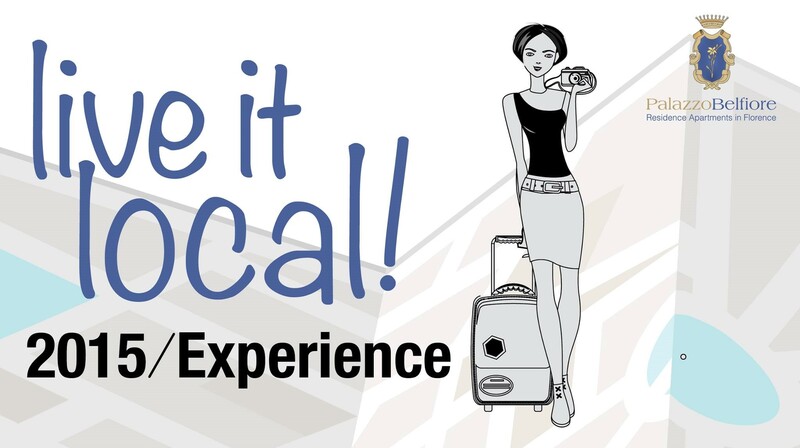 The idea behind Live it Local is to introduce and celebrate small, local businesses in Florence, specifically in the Oltrarno area and connect them with tourists for a more authentic experience when visiting the city. And just in case that isn’t enough for one evening, CPiF member Lee Foust writer, poet, spoken word performer, teacher and musician will be speaking and performing for the Women’s International Network. Get all the details here. 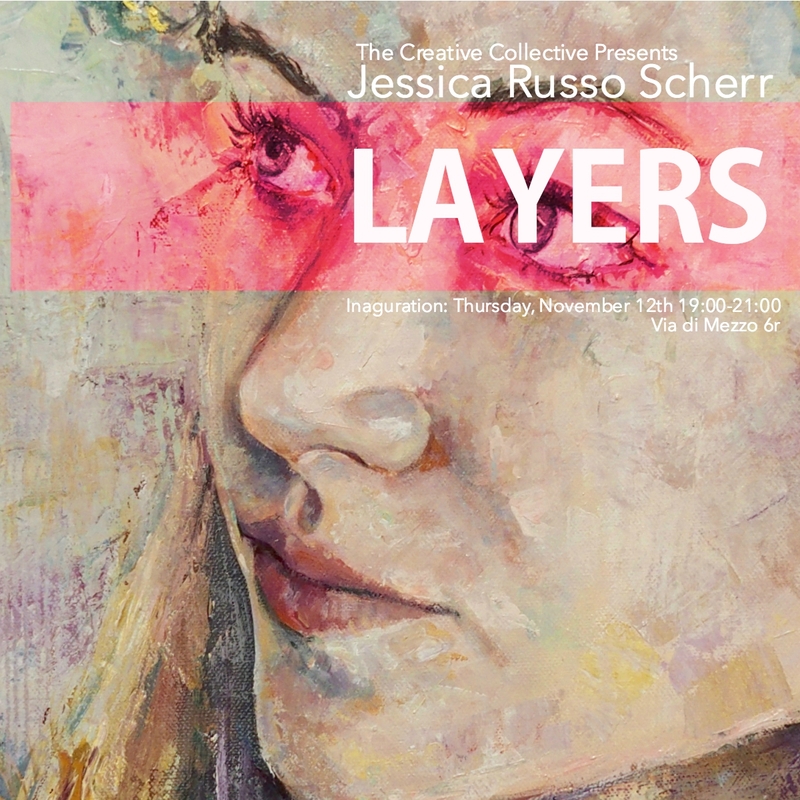 Up next is the opening of Jessica Russo Scherr‘s exhibition Layers at The Creative Collective. Her spotlight interview will be out tomorrow and you can learn all about Jessica and her creative practice there. In the meantime, you can RSVP to the opening on the Facebook page. And don’t forget that The Creative Collective is open to submissions for Spring. You can learn more about the process and types of works we are looking for here. On Saturday head on over to Artstudio50 to catch the opening of CPiF member (and former CPiF intern!) 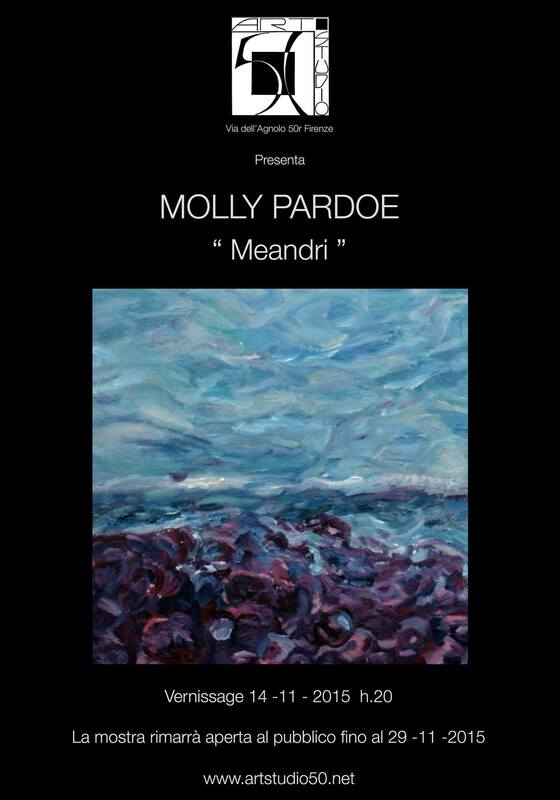 Molly Pardoe‘s show, Meandri. CPiF member Alona Ivanova, the marketing manager of the e-commmerce site Stole the Snow, is organizing an exciting event for November 21st in the Tuscan town of Altopascio. It will include a pop-up show and sale. There will be a DJ, aperitivo, and free drinks! Who doesn’t love free drinks? The event will advertised through Facebook, as well as printed posters and flyers. They are searching for artists of all types to both sell and exhibit during the event. The work can vary from photos to handmade works, books, paintings, or graphic design. The only restriction is that it be new and exciting art and design to make the event contemporary! You know how much CPiF loves that! Participation is free. If you would like to participate or get more info from Alona, please get in touch through our contact form and we will connect you with her! 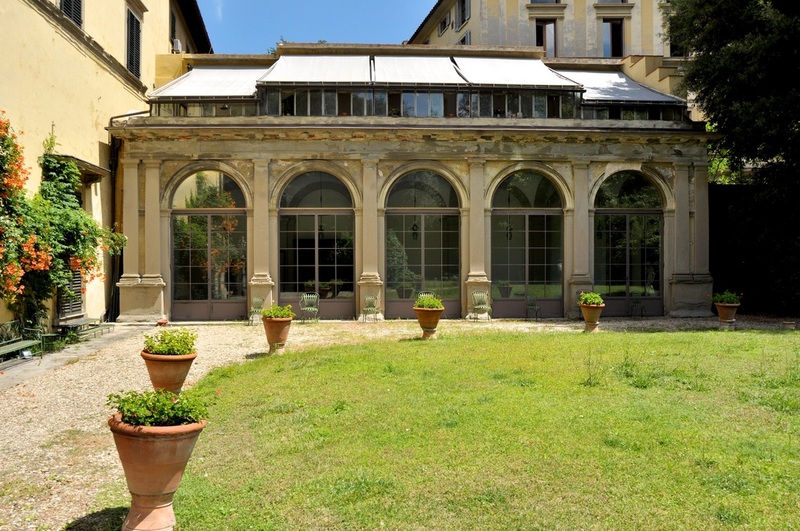 Creative People in Florence will also be collaborating with La Serra MK Textile Atelier to organize a holiday pop-up event in their amazing greenhouse space from December 11- 13th. It will be great fun and a great way to show off the work of our talented members. We are looking for artists, designers, and makers of all kinds to participate. If you are interested and would like to participate, please get in touch with us by sending an email to creativepeopleinflorence@gmail.com.